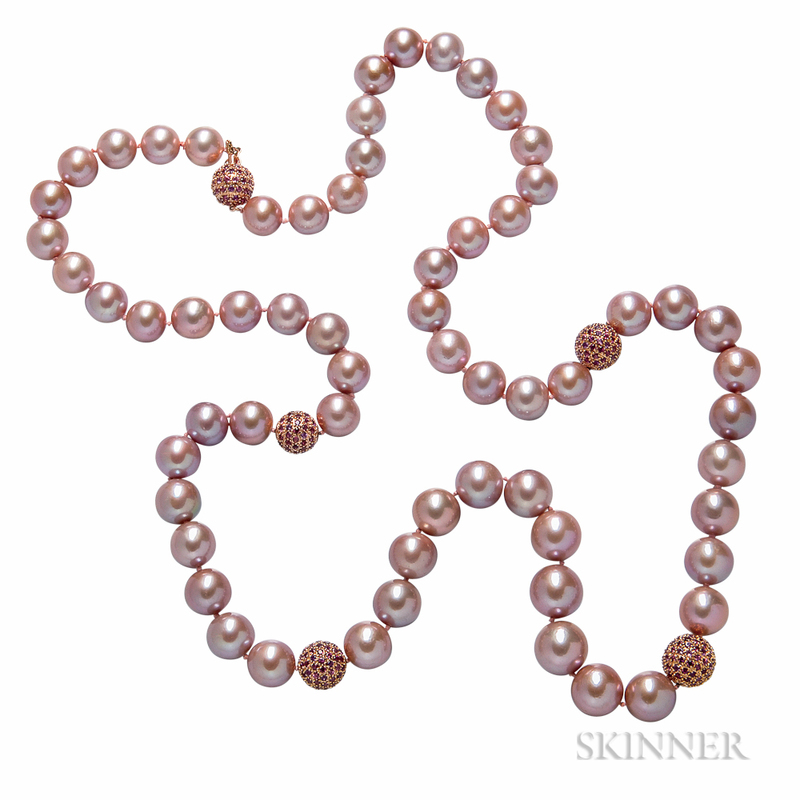 Pink Freshwater Cultured Pearl Necklace, composed of sixty-three pearls graduating from approx. 11.50 to 14.50 mm, with four 18kt rose gold beads with rhodolite garnets and amethyst, lg. 37 in.